Discover how to grow the best tasting food on the market! People all over the world are using hydroponics to grow fresh fruits and vegetables. Now you can learn how to apply hydroponic nutrients like a pro to grow your own great tasting food! Hydroponic Nutrients will show you how to properly apply nutrients so that you can grow virtually any kind of plant you like no matter what it is. I know what you’re thinking, “I’ve had some success with hydroponics.” But the truth to the matter is, you could be having phenomenal success! Let’s be honest, anyone can put together a few trays and plug in a water pump and timer. That doesn’t take much skill, and you can find all that information on my site. But if you want to learn what it takes to really get your plants to GROW, then you need to learn how to properly use hydroponic nutrients. This Ebook is filled with secrets that I’ve put together through my many years of experimentation with hydroponics. With this Ebook in hand, you’ll be the envy of the neighborhood. Everyone including your grocer will want to know how it is you’re getting such phenomenal results in your garden. Would like to learn why some hydroponic gardens get better results than others? Would you like to learn how to grow your own safe, healthy, organic food? Do you have a special plant that you’d like to grow as big and beautiful as possible? 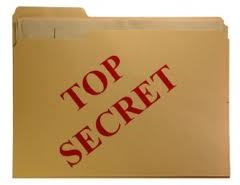 Would you like to learn the secrets to using hydroponic nutrients? When I first started using hydroponics I had lots of questions about applying hydroponic nutrients. I wanted to know why sometimes my plants would grow beautifully and sometimes they seemed “sick”. You may also have some questions about hydroponic nutrients. Now that all these questions and more are answered in this Ebook, you will no longer be confused about how to properly feed your plants. You can now have all these answers at your fingertips without having to go through all the years of experimentation that I went through. Just imagine being able to know which hydroponic nutrients to use in your garden each and every time! 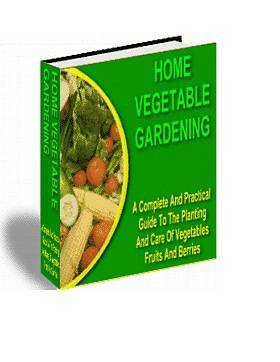 With the information in this Ebook you’ll be able to grow the tastiest fruits and vegetables in town! You’ll understand how to read nutrient labels. You’ll learn rules for applying nutrients indoors and outdoors. You’ll learn how to create a thriving hydroponic garden that can feed your whole family! You’ll learn how to successfully grow any kind of plant you choose like a pro! this Ebook may only be available for a limited time. So grab your copy before I decide to take it off the market. Special Bonus When You Respond Right Now! For a limited time, all buyers of Hydroponic Nutrients will receive a few special absolutely free gifts! I still feel a little uneasy about doing this, but I’ve decided I’m going to give you my top secret hand crafted hydroponic nutrients recipe that I’ve used countless times. What nutrients and supplements to use. With this recipe, you can’t go wrong! 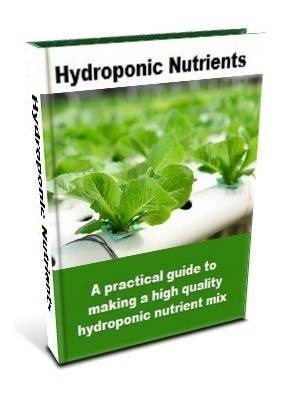 This Ebook is a great companion to Hydroponic Nutrients! 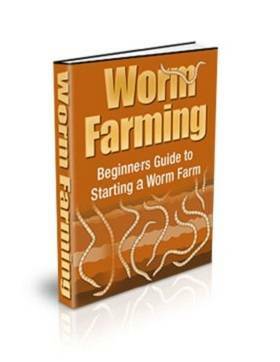 Items you will need to create a worm farm. The kind of container you need to set it up. What is bedding and what is used to make it. What kind of waste is prohibited from putting in the compost. Why you cannot use glossy paper for the bedding. If you have always wanted to grow your own delicious, mouth watering vegetables, fruits and berries now you can do it with the excellent advice you will find inside this book! How to grow your favorite fruits and vegetables. The best times of the year to start planting. 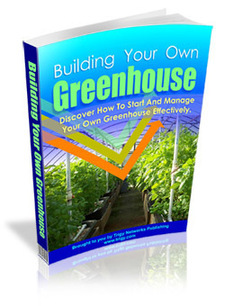 Building Your Own Greenhouse Ebook! Another great addition to Hydroponic Nutrients! Ever wanted to build your own greenhouse? A greenhouse will allow you to grow your plants all year long! Equipment and supplies you’ll need for a more productive greenhouse. Guidelines for constructing a commercial greenhouse. Building an easy and cost-effective greenhouse. Choosing and comparing greenhouse panels. I INSIST you try out Hydroponic Nutrients completely at my risk. Try it for 60 days and SEE your results for yourself. If you’re not 100% blown away by the results, you’ll get a full refund, no questions asked. But I’m betting once you see the results you’ll be amazed! Try it yourself Risk – Free for the next 8 weeks. This is an amazing opportunity and there’s NO WAY YOU CAN LOSE. If your friends aren’t accusing you of buying your vegetables at the grocery store, we’ll give you your money back. I can’t thank you enough for this information! Before I bought your ebook, I was struggling with how to use the nutrients right. It turns out I wasn’t using the right ones and your schedule rocks! Thanks again. Used to grow my plants in dirt. I tried hydroponics a few times but it didn’t seem to be any “better”. But once I tried your method I was amazed! Now I understand why hydroponics is the way to go! I’ve never had any trouble with hydroponics, but when I tried the recommended supplements on your schedule, I couldn’t believe my eyes! I never thought plants could grow that fast! Hydroponic Nutrients will show you how to supercharge your garden! Once you complete your order, you’ll receive an email with your Ebook. And remember it’s 100% guaranteed. P.S. – Thousands of people just like you are already benefiting from their own hydroponic garden. Now it’s your turn… You’ve got nothing to lose! 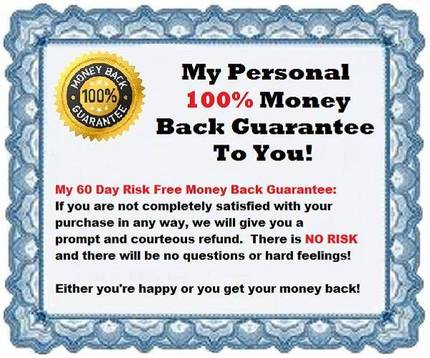 8 week 100% Money Back Guarantee!